888 Casino made its debut on the internet in 1997, when it was known as Casino-on-Net, making it one of the oldest online casinos out there. It became known as 888 Casino in 2010 and has since become an award-winning mainstay of the online gambling landscape. Their blog provides interesting reading in between play sessions with in-depth tips on lots of casino games. Those who have casino interests outside the internet can read features about the wider betting community such as think-pieces on tournaments, how slot machines work, systems and strategies. There is an interesting variety of casino reading material with great illustrations to catch your eye. Everyone making a deposit and playing on 888 Casino can be sure that their details are safe as SSL encryption technologies protect all your information even before it leaves your computer and is stored in secure servers. All monetary transactions are provided by Cassava Enterprises who use RSA public/private key encryption technology. 888 Casino accepts Visa, Mastercard and secure e-wallets such as NETELLER, Entropay, Webmoney and Apple Pay. To give further peace of mind concerning security, the eCOGRA and Safe and Secure Banking seals of approval grace every page of the website. This online casino presents games by providers such as IGT (WagerWorks), Blueprint Gaming and Random Logic. There is a respectable range of Slots and Jackpots to choose from, all with great graphics and a variety of themes from the epic to the quirky. The Jackpots have their massive prizes ticking away which often go up into the hundreds of thousands so be sure to have a spin on Nightmare on Elm Street or Millionaire Genie and see if you’re a winner. Each game comes with a blurb about the theme behind it and an outline of the special features. If Cards and Table Games are more your thing then there are variations on Roulette, Blackjack and Baccarat to play, with choices to reflect your style and stakes. Each game gets their own section in the casino and comes with information about rules and tips to enhance your game. Roulette and Blackjack even have a practice mode so you can get used to the mechanics of the games before you commit to wagering real money. For Poker enthusiasts you can select four different Video Poker games: All American, Jacks or Better, Joker Wild Double Up and Deuces Wild Double Up. Each version comes with details explaining the finer points of the rules, outlining the stakes, winning hands and extra features. All of your favourite cards, table games and more are available to play in the Live Casino with real dealers. You’ll find Roulette, Blackjack, Baccarat and Poker as well as Dreamcatcher, a Money Wheel for the modern day. For the highest stakes and a unique Live experience, the high rollers better head on over to The 888 Live Elite Lounge for the best play. Exclusivity is the watchword in the Elite Lounge as it is open for only 12 hours a day, hosting just 5 Blackjack Tables and 1 Roulette Wheel. All of these casino games are available to download straight onto your Windows PC desktop with the Flash online casino compatible with Mac and Linux users. 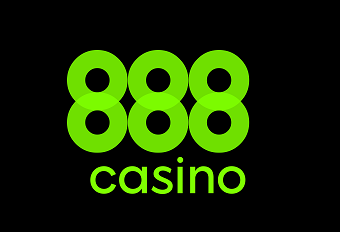 For gaming on the go, 888 Casino is available as an app for both iOS and Android on many mobile devices. Any casino review would be incomplete without taking you through the promotions and bonuses on offer and 888 Casino has a lot on offer. New players have a lot of bonuses to look forward to when registering with 888 Casino with three offers available to them. First there is the Welcome Bonus which doubles your first deposit up to €100 and then you can expect a bonus for the rest of your fist week with the Premium Welcome Package. If you make 5 deposits within 7 days of signing up, you can receive up to €1,500 in bonus money. And that’s not all. All new players can win a minimum of €15 and a maximum of €888 Free Play to use on a selection of casino games. Live Casino players can participate in a number of daily promotions which involve a variety of games and a range of stakes. Check back every day to see what Daily Deal will take your fancy as there is a bonus to be enjoyed from each part of the casino Monday to Sunday. Among the Hot Promotions are all the seasonal bonuses and monthly goodies. Every month on the first you could be one of 26 players to win a share of €888 just for logging in! There is also a chance to win €300 Free Play in Multihand Blackjack. You’ll also get rewarded for playing like normal with 888 Casino’s Comp Points. Once you accumulate a certain 150 points you can exchange it for €1. Like in any online casino, promotions and bonuses are subject to Terms and Conditions. There is the possibility of compulsory deposits, limitations and wagering requirements so be sure to read the fine print before participating in any deal to get the full enjoyment from playing. The Help icon is a very small button in the top corner of the website but once located it takes you to and extensive support section with plenty of FAQs. All possible queries are split into sections with clear headers and a search bar so you can find the answer quickly and easily. Should you need to resolve an issue with the Customer Service team, there is an email contact box with a selection of categories so your problem can be solved as soon as possible. 888 Casino is committed to Responsible Gambling and offers a range of tools to help control the amount of time and money spent gambling with deposit limits and self-exclusions. If you are worried about developing a gambling addiction, there is information, a self-assessment and links to helpful organisations on the Responsible Gambling page. There is also information to help protect minors with tips to keep them away from restricted sites and links to filtering software providers.